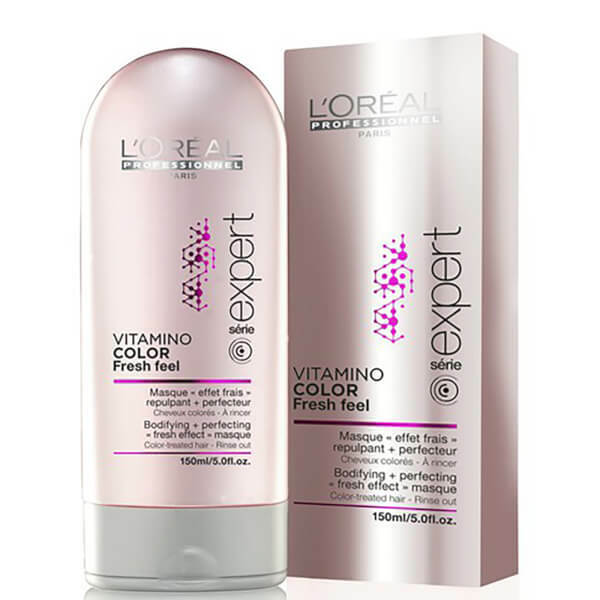 Refresh hair with the Serie Expert Vitacolor Fresh Masque from L'Oréal Professionnel. Suitable for colour-treated hair, the masque improves the hair's texture and appearance so you can achieve salon style results at home. Specially formulated with the brand's A:OX technology to smoothen hair fibre for calm, manageable locks and protect colour vibrancy for healthy-looking hair. 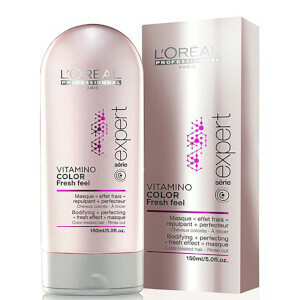 The lightweight, non-greasy masque effectively detangles hair and enhances shine. E.N.